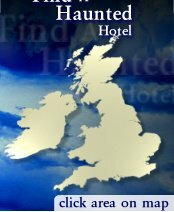 Our WeekendHaunts include Dinner, Bed and Breakfast plus full Paranormal Investigation by one of the UK's top investigative teams consisting of a Group Tour with Mediums; Group Vigils and S´┐Żances with mediums followed by full discussion and debrief of findings. We are delighted to have teamed up with Phil Whyman for some of our WeekendHaunts events throughout the UK over the coming months. You will most likely have heard of Phil Whyman through his time on the popular paranormal investigation television series 'Most Haunted', and the paranormal reality show 'Scream Team'.